Disney's Zootopia shows us the real enemy. Every once in a while, a studio releases a movie that perfectly exemplifies everything the corporate culture stands for. Aside from the lack of royalty, that's Zootopia, Disney's latest crowd-pleaser. 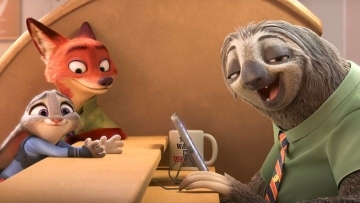 Zootopia starts with a common cartoon conceit, funny-animals that think, act and talk mostly like humans while looking and somewhat feeling like animals, and takes it to its logical extreme: a beautifully-drawn highly-technological civilization carefully designed to allow participation by everything from elephants to lemmings, from polar bears to camels. With this tremendous array of diversity comes the politically correct message: you can be anything you want to be no matter who you are! Anybody who says you can't is just plain wrong! Diversity rules! Sure enough, the hero is a police-rabbit who runs rings around the more obviously-talented rhinos, elephants, and cape buffalo; the bad guy turns out to be a sheep; and a conniving, shysterly fox grows beyond his cultural predispositions into a surprisingly useful policeman himself. Score one for the rainbow team! Yet we know, for all the propaganda, this bumper-sticker philosophy is transparently false. I cannot be an NBA player. You cannot win a gold medal at the Olympics unless Scragged has a much wider audience than Google Analytics suggests! So where's the logical flaw? It's because of a surprising gap in definitions. Giving slothful bureaucrats a whole new meaning. When we tell a small child "You can be anything," what do we actually mean? We don't mean they can literally be anything - they cannot turn into a rock, say, or become the Sun. If we give the matter even a moment's thought, we also don't mean that they can fill any individual specific job. There's no way that the same child could, if they dedicated themselves, be a doctor, and a champion swimmer, and a hero soldier, and a fireman. Quite possibly they could be one or two of the above but not all of them, not even one at a time. No, what we're thinking of is the list of generic careers found in the dictionary - lawyer, cop, mailman, taxi driver, astronaut, accountant - and, rightly, thinking that any normal child could potentially dedicate themselves to achieving a living wage in any one such job category. 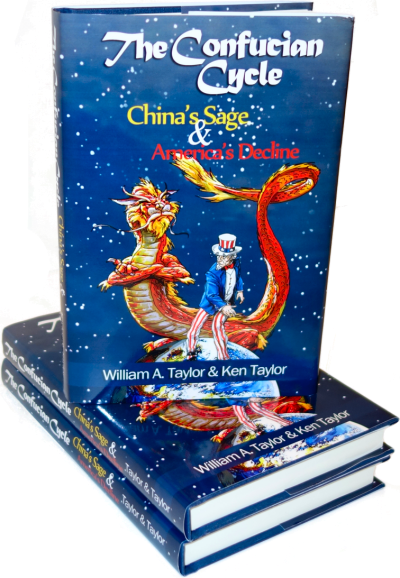 To that extent, "You can be anything" is largely true, which has been the glory of America. We love to see examples of unlikely successes - poverty-raised Dr. Ben Carson, for instance, rising to the heights of brain surgery. There are countless such "Only in America" stories great and small. And by the same token, getting rid of racial or gender bans on general occupations is a Good Thing. Once upon a time, women could not be doctors or lawyers because the schools wouldn't accept them. Likewise, black people once were not accepted in the professions or even professional sports. Most all Americans now agree that this was morally wrong. That's the real-American meaning of the phrase "equal opportunity": Not everyone can be a doctor, lawyer, etc., but everybody has the right to try their best regardless of who they are. What has this to do with dictionary lists of occupations? Simply this: one single word can cover an enormous array of, yes, diversity. Consider Zootopia's police. Can Officer Hops be an effective police officer? Her fellow officers didn't think so, but the usual training montage gives us clues. Like most rabbits who live long enough to grow up, she is extremely fast and agile, and very fast at picking up clues. Clearly, those skills are useful in law enforcement - they make her a good beat cop, and she probably could serve a detective as well. But it does not logically follow that Officer Hops could effectively fill any role, even in the police force. If a soccer match between the Bears and the Lions turns into a riot, the riot squad had better be made up of rhinos and hippopotami if it's going to have any effect. You could have the entire rabbit population of Zootopia in uniform and they wouldn't be able to calm things down. When we as a country decided to open up all occupations, in the general dictionary sense, we were making a reasonable moral decision. Unfortunately, as in all things, our leftist culture and overweening government have taken a generally decent idea and turned it into an utterly wrongheaded one. Today's affirmative action regulations are not the (reasonable) equivalent of letting Officer Hops on the police force; they are the (preposterous) equivalent of letting her on the riot squad or SWAT team even though she could not possibly be effective there. The predictable result: students drop out of top-ranking schools instead of graduating from perfectly decent second-rank ones. This is called the "mismatch" effect - where commonsense and honest evaluations would steer an individual person in a direction where they are actually able to excel, the pernicious fraud of affirmative action combined with the absurd lie of "You can be literally anything you want" ends up ruining people who would otherwise have a perfectly decent life. There's one small element of the Zootopia plot that must have slipped past the PC censors. The villain is a sheep who is tired of having the predator-type animals occupying all the top spots in society. The sheep's resentment keeps growing despite, on the evidence presented, the predators having done an extremely impressive job of both creating the society and extending the benefits of civilization to one and all. To this end, she develops a poison that causes the civilized animals to regress into actual animals. Naturally, this causes panic in the population - a reverted rabbit isn't going to harm anyone whereas a reverted tiger on a commuter train would cause mayhem. The objective is for predators to all be judged by their race and expelled from Zootopia, or at least from power. As in the real world, this evil plan is promoted only by a small minority even of the prey species, but without the brilliant police work of our equal-opportunity hero Officer Hops, it probably would have worked, and Zootopia would have been a far weaker if not completely collapsed place. In the real world right now, there is a small minority demanding the overthrow of the builders of Western civilization, who - sorry, it's a historical fact - were predominantly white men. But it isn't that way today: for at least the last fifty years, it's been perfectly possible for everyone other than white men to achieve success, which is as it should be. The problem is that for the violent thugs of Black Lives Matter and the more urbane but equally destructive leftist diversity bureaucrats, it's not enough that anyone can build themselves up no matter who they are if they simply follow the rules and work hard. No, members of the "traditionally dominant groups" must be torn down, regardless of their own personal merits, simply because of who and what they are. Zootopia rightly depicts this as evil. I wonder how many viewers made the connection? "In the real world right now, there is a small minority demanding the overthrow of the builders of Western civilization, who - sorry, it's a historical fact - were predominantly white men." Whenever I'm talking to a leftist/liberal, and they bring up the "but he's just a dead rich white male" trope, I point out that Marx is a dead rich white male. I thought it was wonderfully subversive. It presents the diverse utopia, then shows that it's not as wonderful as it looks, and even though you can overcome your limitations to a certain degree with hard work, you still are what you are. And then, of course, there was the villainess. Perfect. She was pretty much the modern Left in a nutshell, with a friendly public face appearing as a bumbling do-gooder that's put-upon and victimized by others, but really a schemer with a plan to take power by causing chaos and wrecking innocent lives. I'm honestly surprised that it got made. Interesting review. The first part has put me off seeing it. The second might make me reconsider. Are there any sales figures for it? I took it as allegory towards Muslim immigration, with the intent being to cast Muslims in the role of predators that were being vilified by the false flag actions of devious, yet feeble Christians. Only if you believe, like Obama, that Muslims are the foundation of Western culture. And if you believe they've always been its leaders. I don't think even Disney is that far out of it, at least not yet. Good subject area. The lead-in to the conclusion seemed to be coming along nicely, but the conclusion came and went too quickly.